Dr. Justine Lee has some tips to help you pooch avoid heat stroke. For more from Dr. Lee, find her on Facebook! Heat stroke, which is defined in veterinary medicine as a body temperature above > 103°F (39°C), is commonly seen in dogs. While it can occur in cats, it’s really rare. The higher the body temperature, the more life-threatening it is to your dog. As core body temperature approaches > 106°F (41°C), the sooner death can occur. Locking a dog in a car without adequate ventilation (this doesn’t mean cracking your windows open!). Exercising with a dog when there is excessive heat and humidity – especially if your pet has an underlying medical problem predisposing them to heat stroke! Leaving your outdoor dog in the sweltering heat without adequate water or shelter/shade. While I’ll occasionally leave my dog in the car for 5 minutes, I lock my doors, turn on the air conditioner on full blast, and turn on my remote starter. Some people say, “Well, maybe your remote starter or car will break.” Possibly, but again, its for super short time periods, and my new Subaru hasn’t let me down yet! Regardless, don’t leave your dog in the car and skip the trip instead. Check out Dr. Ernie Ward’s video on how hot a car truly can get. 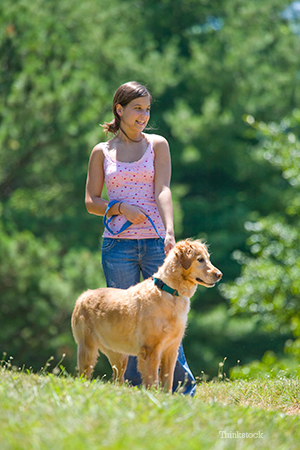 Most pet owners are smart enough to know that they shouldn’t be exercising with their pet when 90°F. However, sadly, I’ve seen dogs die at lower temperatures. The most dangerous temperature to exercise in? When it’s a blue, sunny day at 80-85°F. People often feel this is a “safer” temperature, when in actuality, it’s more dangerous. My little tip? If the humidity + temperature added together is greater than 150, it’s too hot. For example: 80°F + 80% humidity = 160. Too hot to run! If you want to torture yourself and run outside, go for it, but leave your dog at home! Brachycephalic syndrome (e.g., a smooshed nose, smaller nostrils than normal, etc.). I’ll expand on this in a few weeks, but for you owners of Pugs, English bulldogs, Shih-Tzu’s, bullmastiffs, Pekingese dogs, etc., this means you! Basically, if your dog snores at night when he sleeps, he’s likely to have brachycephalic syndrome. Do you have any tips? Ever had a heat stroke experience with your dog? Tell us about it!